Opening the event, Acting Director of SE PROZORRO.SALE Oleksii Soboliev focused on the importance of scaling the results already achieved due to ProZorro.Sale system functioning across the entire Ukraine. He stressed on that for over the period the system had been used more than 15 billion UAH had been made for public central and local budgets from sales and leasing of assets through transparent auctions. Oleksii Soboliev noted that the work of the state-owned enterprise with regions was constantly enhancing and extending over new types of assets. 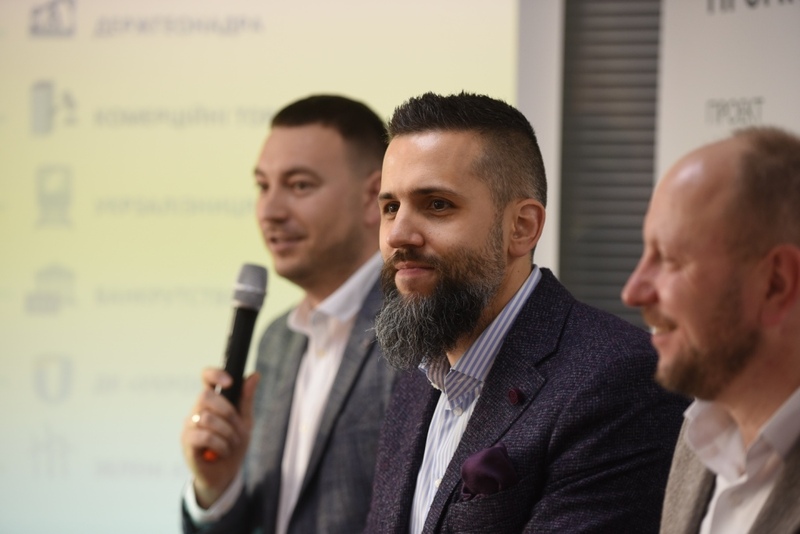 First Deputy Minister of Economic Development and Trade of Ukraine Maksym Nefiodov mentioned that the work of ProZorro.Sale system was carried out in terms of 2 major areas at a time aimed at encouraging Ukrainian economy. “The first one is focused on increase of competition and growth of investments into economy of the country. The operation of ProZorro.Sale system allows for taking part in e-auctions from any part of the world, and the fact that certain auctions had 90-100 participants each is an eloquent evidence of a competitive environment. The second area is a fair regulation of access to resources. To quotas, to mineral resources, to land, etc. The use of ProZorro.Sale ensures transparency and openness of distribution process within the sectors already being covered by the system”, – he said. Maksym Nefiodov also made a point that openness and fairness of privatization process had at all times arisen numerous questions of the public. “However, this cannot be said about today’s small privatization anymore. A bit more than for over 7 months it yielded more than 850 million UAH. Noteworthy is that over this period of time there has not been any scandal, which is a miracle for Ukrainian privatization. Besides, all these objects are far from being unique, they are ordinary real estate. And if the state offers you a slow, awful process, which, surely, will entail scandals and inspections, – no one wants this, if the risks are not reimbursed anyhow. And when we ensure a simple, fast and non-confrontational process, investors get attracted. “Why not purchasing from the state?”, – they say, competing with each other at transparent auctions”, – he said. In his turn, a leader of “DoZorro” project Ivan Lakhtionov noted that ProZorro and ProZorro.Sales systems were the instruments facilitating prevention of a great number of corruptive misuses. “And here figures are worth a thousand words – billions of money, which has helped the state and regions to save or earn. At the same time, it is necessary to proceed with scaling these systems and to extend them over all possible processes wherever they could be needed. That is why we would like to see a growing public interest to their usage in regions”, – Ivan Lakhtionov said. PLEDDG Senior Expert, Head of Experts Group Ihor Lepyoshkin noted that it was of important to support active development of open regulation instruments in Ukraine. He said: “ProZorro and ProZorro.Sales are open governance mechanisms that ensure open and transparent government procurement. Open government leaves no room for corruption. However, when we speak about these systems, the question is not about corruption only, but also about money. These are the mechanisms which really enable local authorities not only to save at tender procedures but to earn more from the sales of assets”.